Summer is upon us. Soon we’ll be having backyard barbeques, spending long nights around the campfire fending off mosquitoes, weekends will be spent lounging by the pool, and there will be swimming, lots and lots of swimming. 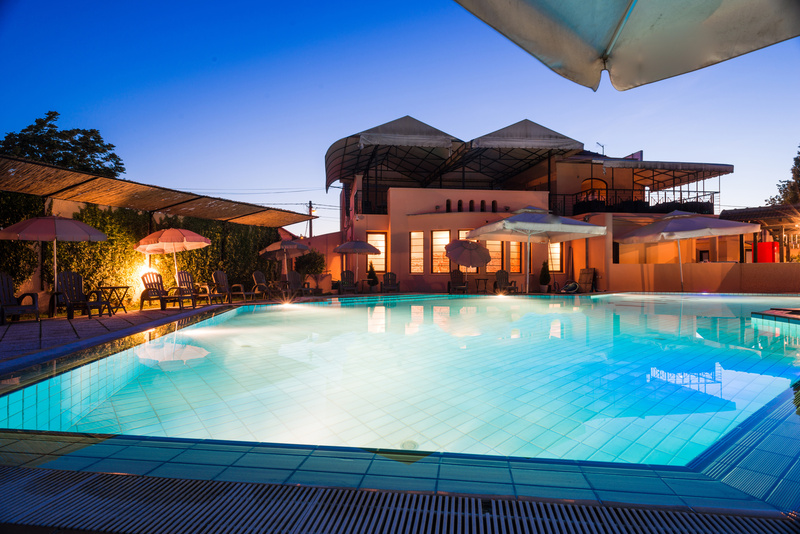 As you peer out to your manicured garden, your eyes gaze at the pool. Alas, there’s no more ignoring it or putting it off. You must resurface the pool. The surface cracks, blisters, and discolored blotches make the pool no longer inviting. Before you dive into swimming pool resurfacing the first free weekend you have, there are several things to consider. 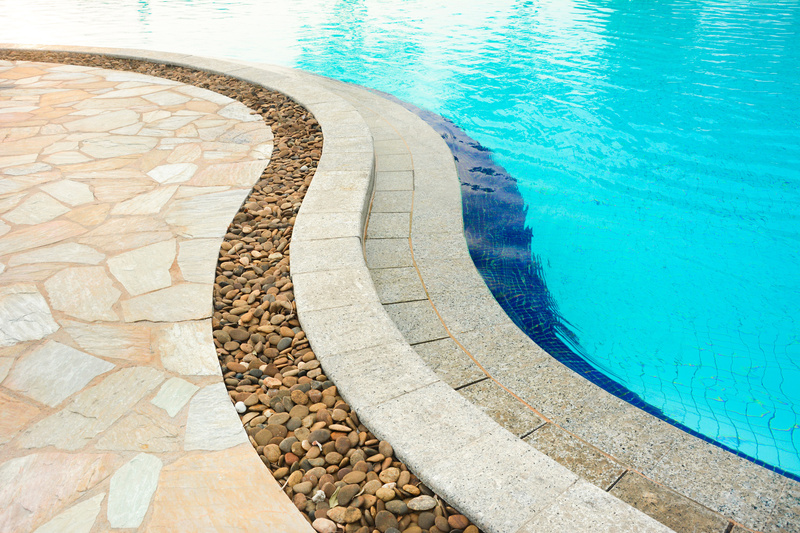 If your pool needs some sprucing up here are 8 things to consider before pool resurfacing. 1. Does Your Pool Need Resurfacing? Chemicals, sun, and low water levels affect the surface of a swimming pool. And even if you do a great job with maintenance, over time, all pools age and need resurfacing. Even problems with one or two of these could mean the need to resurface. 2. 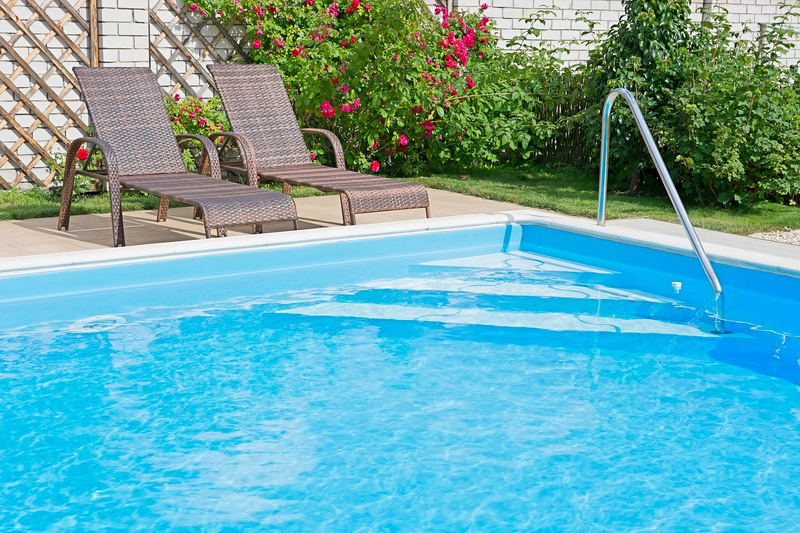 What Does Pool Resurfacing Cost? This depends on the location, size, and condition of the pool. Obviously, the larger the pool, the more materials are needed and the longer it takes to resurface. Also, you’ll need to do some repairing prior to resurfacing, if there’s a lot of damage. Location plays a big factor in the cost. If you’re located in a place that is warm and sunny, like Texas, there will be plenty of contractors available to hire, so the competition will bring down the cost. Also, you won’t need to pay much for shipping materials. The shape of the pool and additions like features and steps will add on to the cost too. 3. When Should it be Done? You can pretty much do pool resurfacing year round. In fact, if it’s done off-season, like in the winter, you have a better chance of scheduling it at a good time and with little interruption. Nonetheless, there are no restrictions as to when it should or shouldn’t be done throughout the year. You should, however, keep an eye out for extreme weather changes, such as high winds that could carry debris or strong storms that may delay resurfacing. Like the cost, it depends on several factors such as size and condition of the pool. Most of the time it takes between one and three weeks, so plan accordingly and schedule the resurfacing sooner or later. You don’t want to lose precious swimming time. If the pool is small, it may take less time than that. However, if your pool is in need of lots of repairs, or if other areas like the deck, patio or walkway need resurfacing, it could take longer. When you get an estimate of the cost, you can also request an estimate of how long it will take. 5. What Resurfacing Material Should I Use? Fiberglass is the best choice for resurfacing a pool. It’s flexible, and if you live in an area where the ground may shift, this is a good thing. Fiberglass lasts a long time, much longer than concrete or plaster. It’s also much smoother than other surfaces. This means that it absorbs fewer chemicals and organic material like algae. It’s also resistant to stains. In short, a fiberglass pool means a beautiful, long-lasting pool. 6. What is the Procedure for Pool Resurfacing? 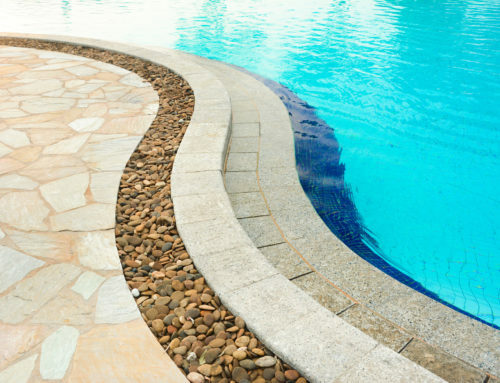 After you drain the pool and clear away the surrounding area is cleared away, a good contractor will first fill in any cracks and sand any chips before applying the fiberglass surface. The contractor will apply the fiberglass in several layers. Each coat is sanded before the next coat is applied. The final step is to apply topcoats to seal the deal. After it’s dry, water is added back up. Before you know it, you’ll be swimming is what feels like a brand new pool. 7. Does the Fiberglass Come in Different Colors? Why yes it does! So if you want to mix it up and are looking for a change, then resurfacing with fiberglass will do just that. Choose from white, light blue, blue, medium blue, and blue-green. Also, the surface is textured to prevent slipping. But this doesn’t take away from the gorgeous new shine. 8. Hire a Professional or DIY Pool Resurfacing? There’s a lot that can go wrong if you don’t know what you’re doing. A mistake could mean a leaking pool and an entire re-do. In addition, the time for one person to resurface an entire pool by him or herself could be prohibitive alone. It’s not worth it when professionals can do it right the first time at a fraction of the time. The cost of supplies is the same, but the cost of labor isn’t that much more. Your time is money. A final thought is that if you have a large pool, it just might not be possible to keep the surface from setting too quickly. 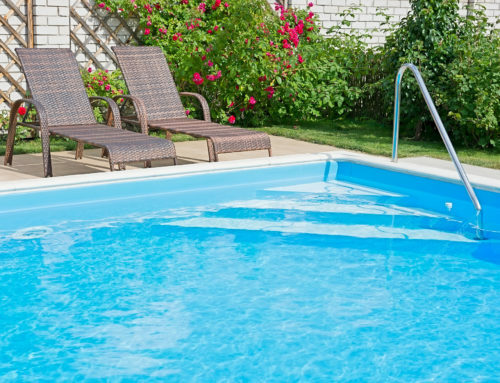 Now that you’re convinced that your pool needs resurfacing and a DIY pool resurfacing is too much trouble, then it’s time to get an estimate. Call a professional in the area who is recommended and will come to your house to give you an estimate on when it can be done, the cost and how long it will take. 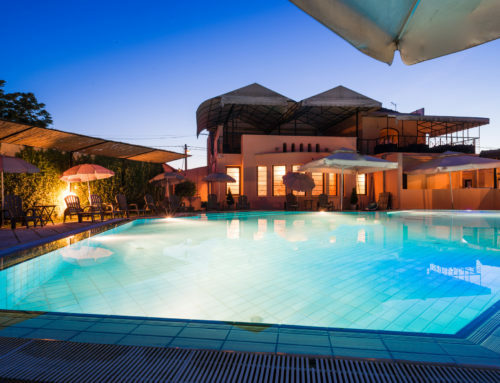 He or she can also let you know if any repairs need to be done, train you how to effectively take care of your pool and maintain its new surface. In addition, if you’re thinking about getting other areas resurfaced, they can give you a free estimate on that too. Don’t wait until you’re deep into summer. Now is the perfect time to call.